Bruce Lee was an intense man with such sheer concentration of energy that no one who encountered him, on screen or in person, could help but be drawn to him and his enthusiasm for life and knowledge. A voracious and engaged reader, Lee wrote extensively, synthesizing the thought of East and West into a unique personal philosophy of self-discovery. 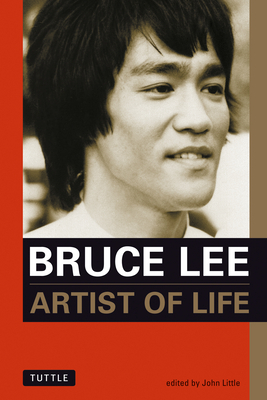 Bruce Lee: Artist of Life explores the development and fruition of Bruce Lee's thoughts about gung fu (kung fu), philosophy, psychology, poetry, jeet kune do, acting, and self-knowledge. This volume from Bruce Lee's private notebooks is capped by a selection of Lee's letters that eloquently demonstrate how he incorporated his thought into actions and advice to others. Also included are multiple drafts of select compositions, showing how Lee's ideas evolved and was refined over the years and how the ideas he was reading and writing about were reflected in his work and everyday life. John Little is considered to be one of the world's foremost authorities on Bruce Lee. He's the only person who has ever been authorized to review the entirety of Lee's personal notes, sketches and reading annotations, giving him an insider's look at Lee's training methods and philosophies. He's shared this information with Lee's fans in his books published by Tuttle Publishing, including: The Art of Expressing the Human Body; Jeet Kune Do: Bruce Lee's Commentaries on the Martial Way; Letters of the Dragon; The Tao of Gung Fu: A Study in the Way of Chinese Martial Art; Striking Thoughts: Bruce Lee's Wisdom for Daily Living and Bruce Lee: The Celebrated Life of the Golden Dragon.